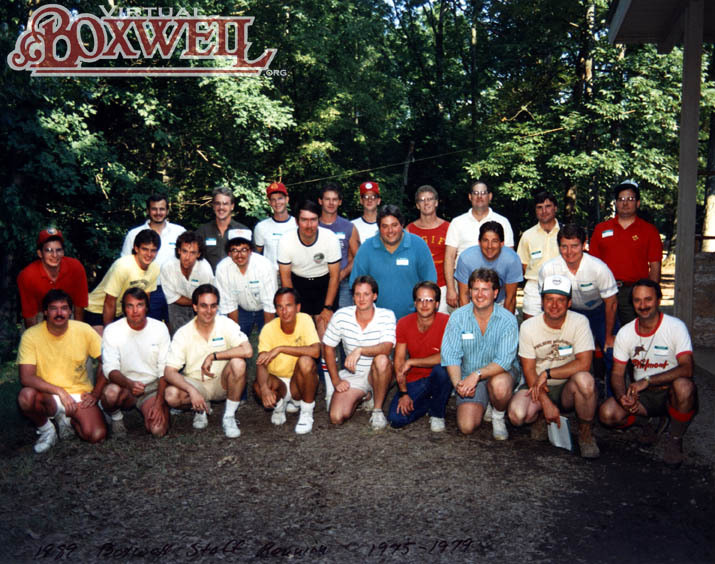 While the facilities at Boxwell are nice, it is the staff who make it really special. 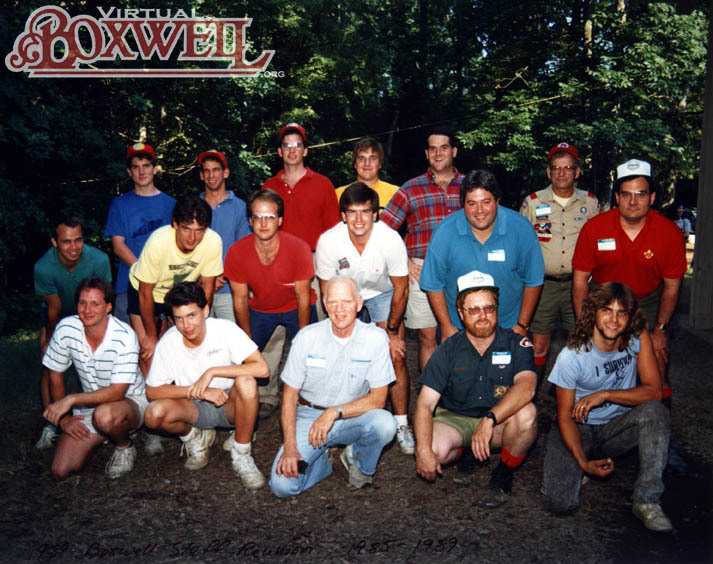 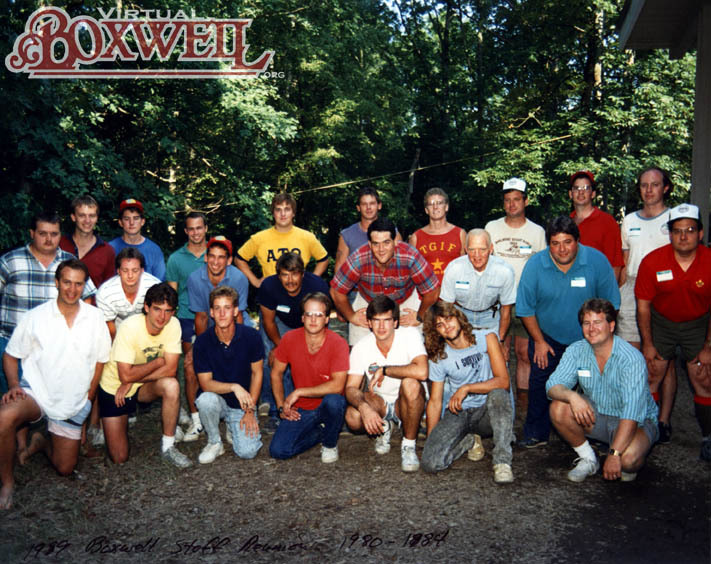 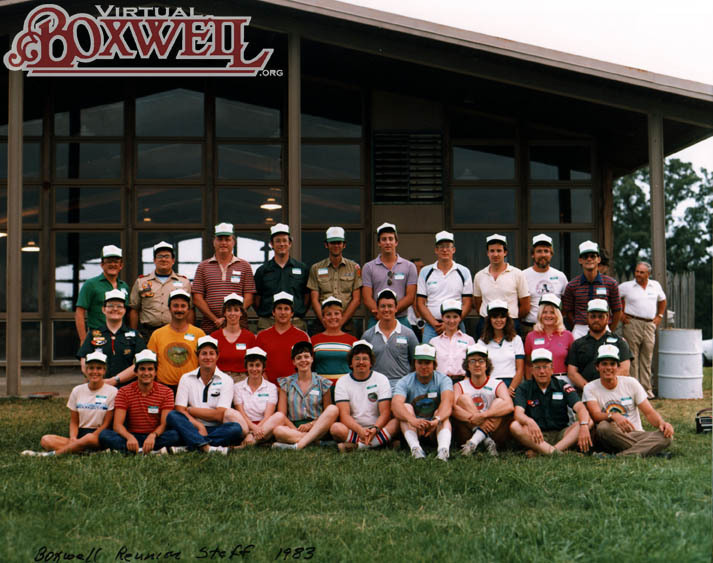 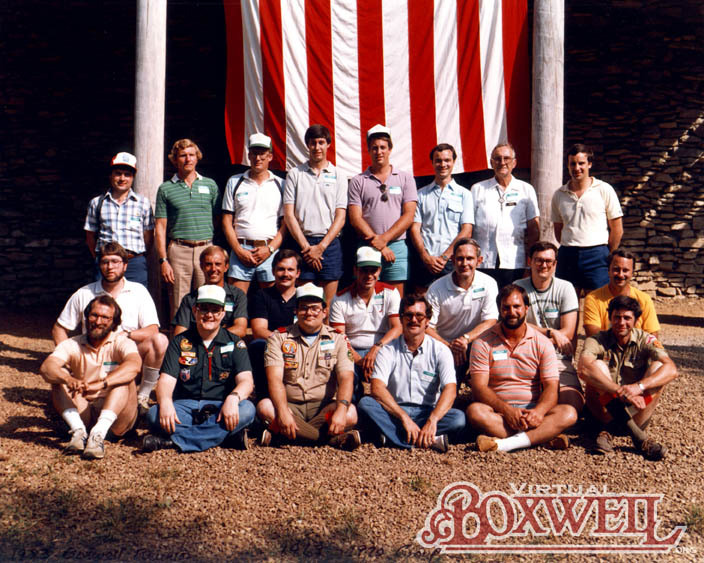 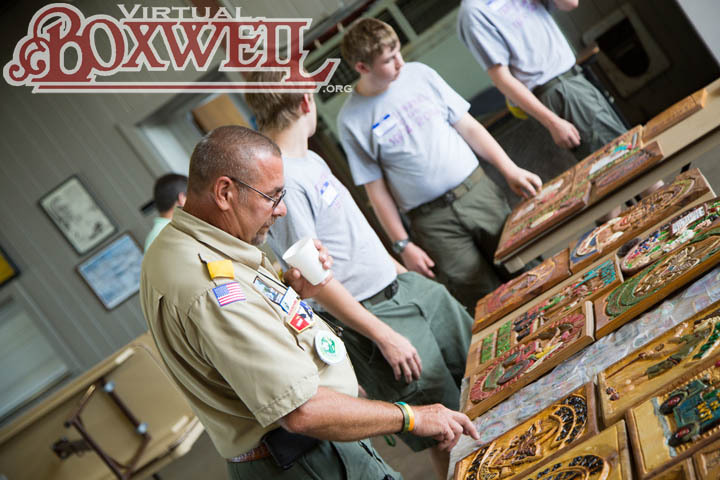 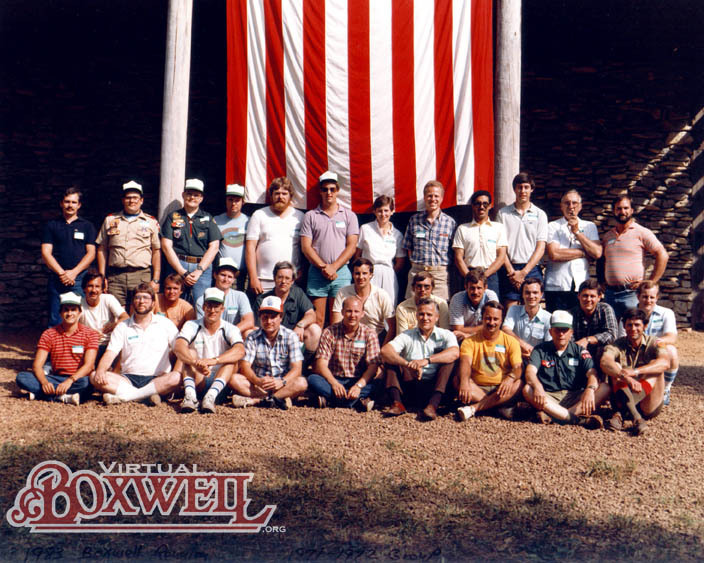 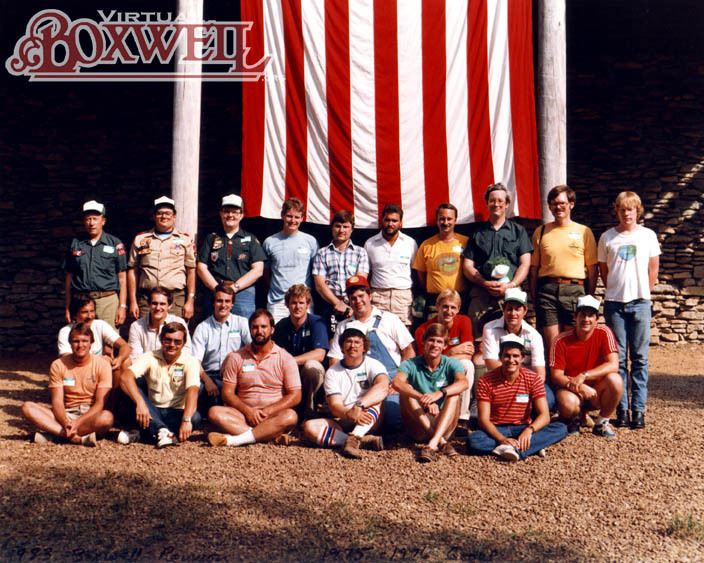 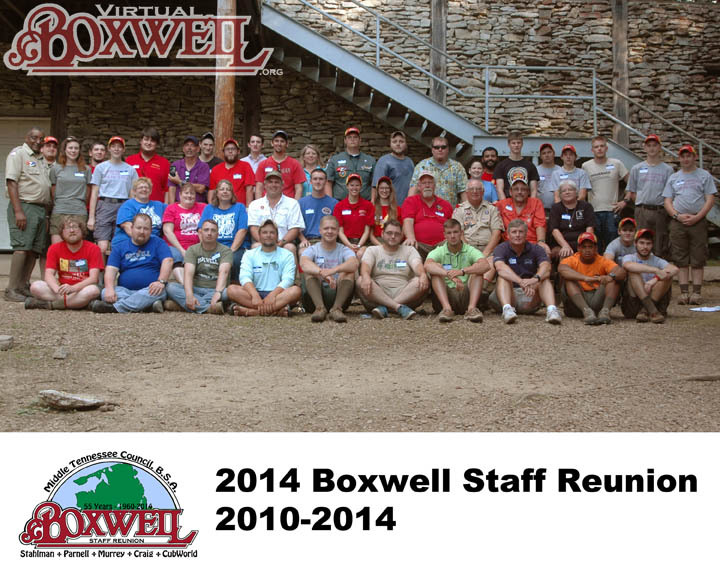 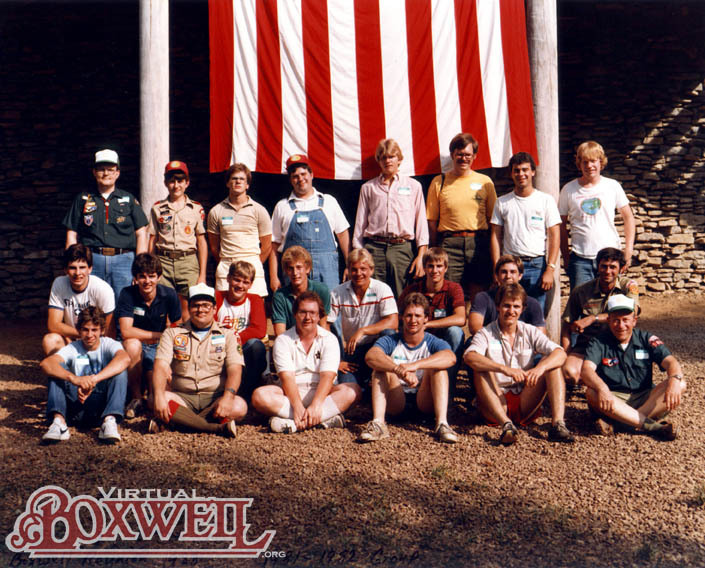 Indeed, unlike many other camps across the nation, Boxwell is one of the few camps to have Staff Reunions. 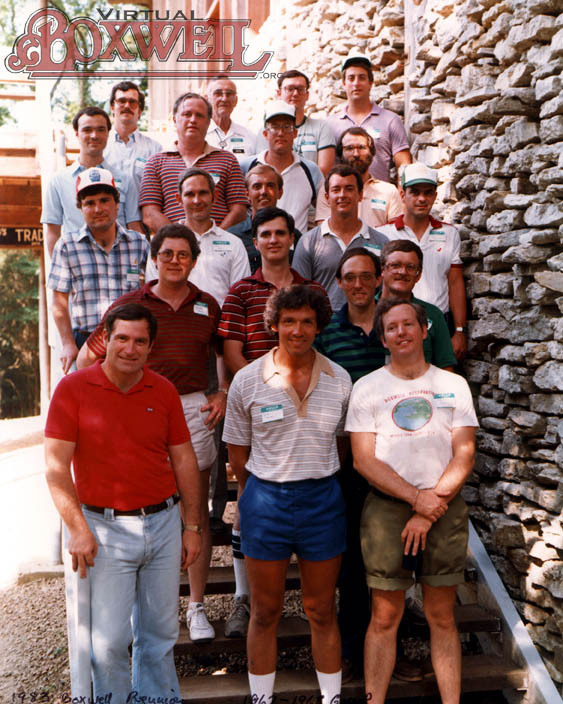 The first Staff Reunion was held in 1983. 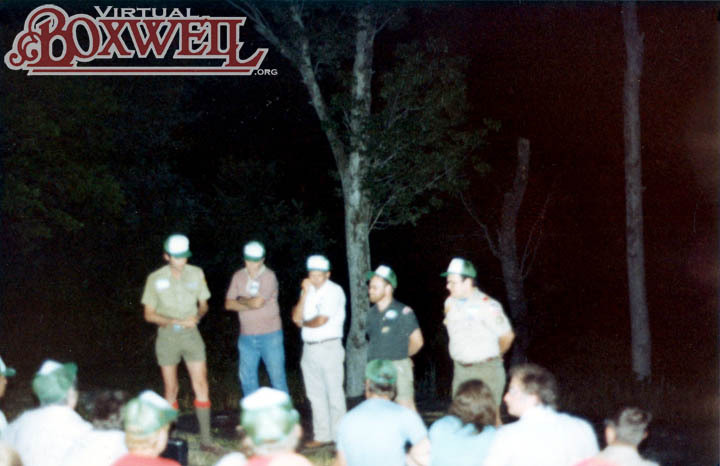 It was planned by a group of former staff members, many of whom had been professionals after serving on staff. 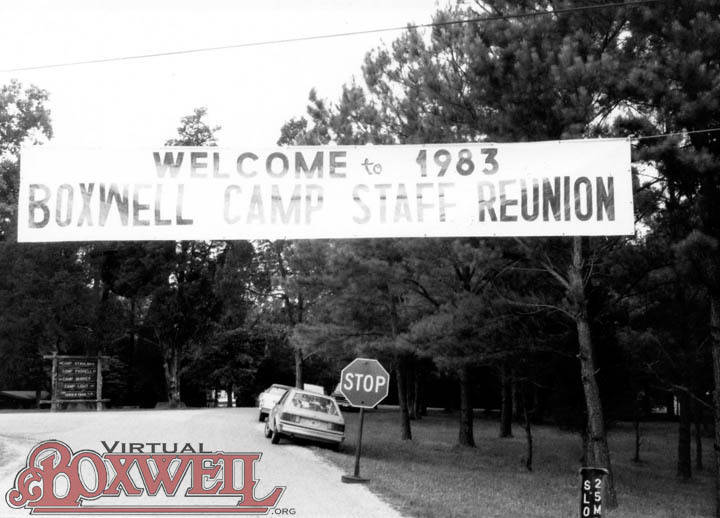 The idea behind the first Reunion was to recreate a day at camp. 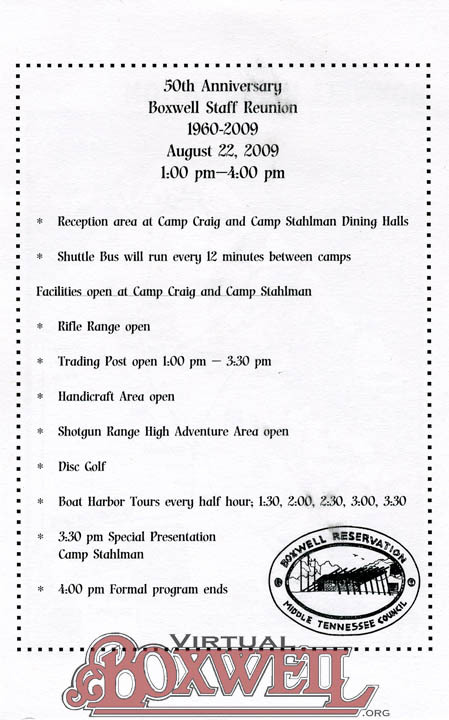 To that end, the program for the event included having activity areas open for people to visit and to participate in, just like a day of camp. 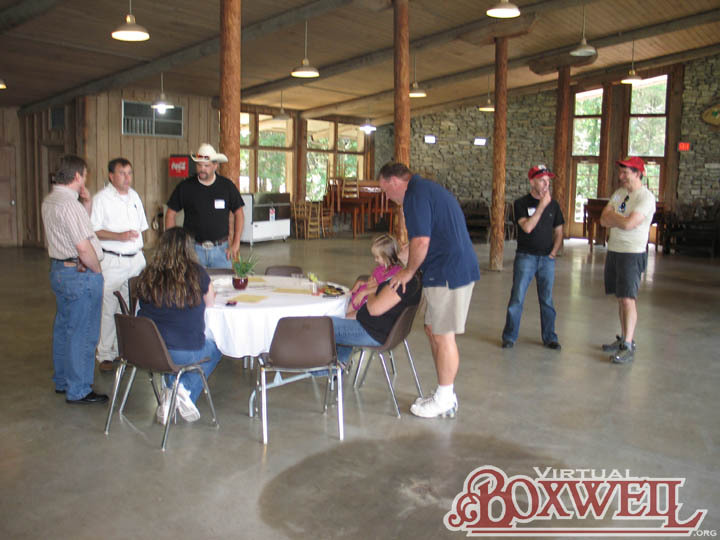 Additionally, there was a volleyball game as well as a Critter Crawl. 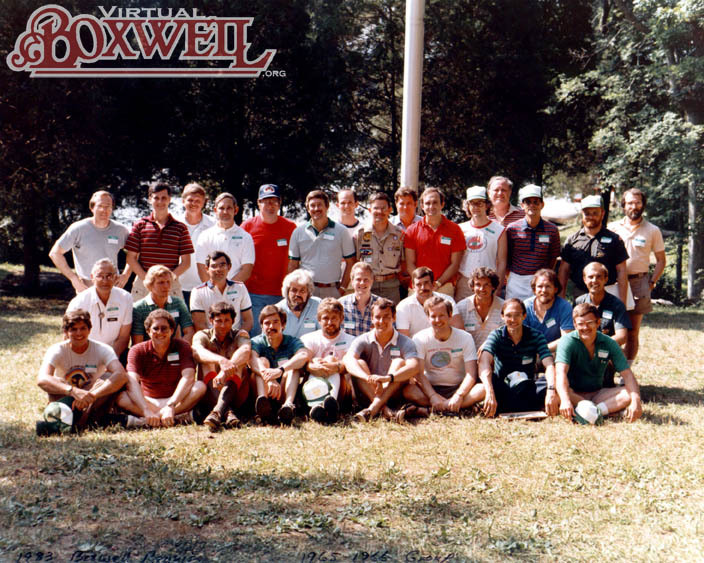 The afternoon included Group Photos. 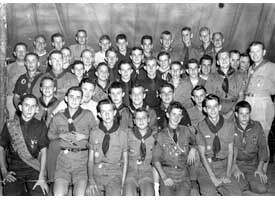 In the evening, there was a dinner program, including awards for "accomplishments" such as the oldest living staff member and the staff member who had traveled the furthest. 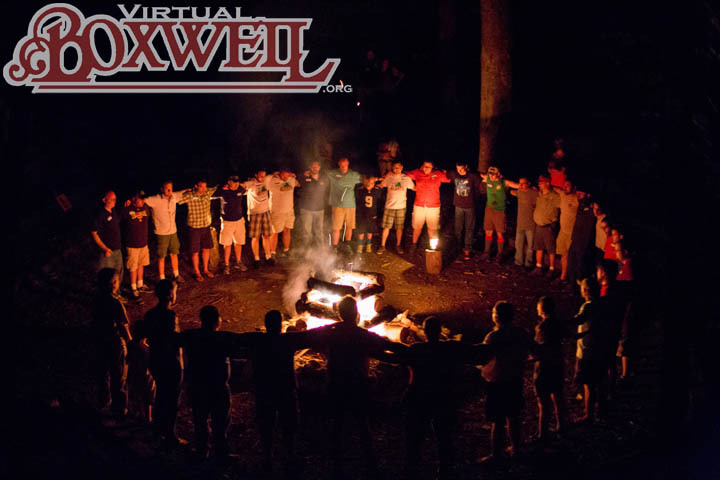 The evening concluded with a campfire. 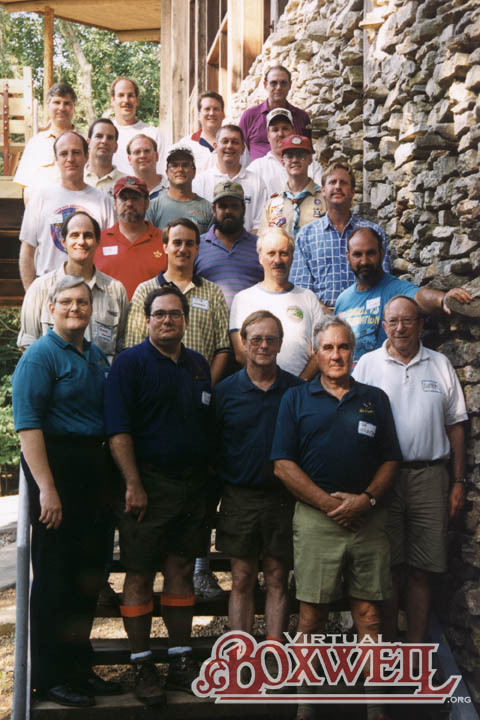 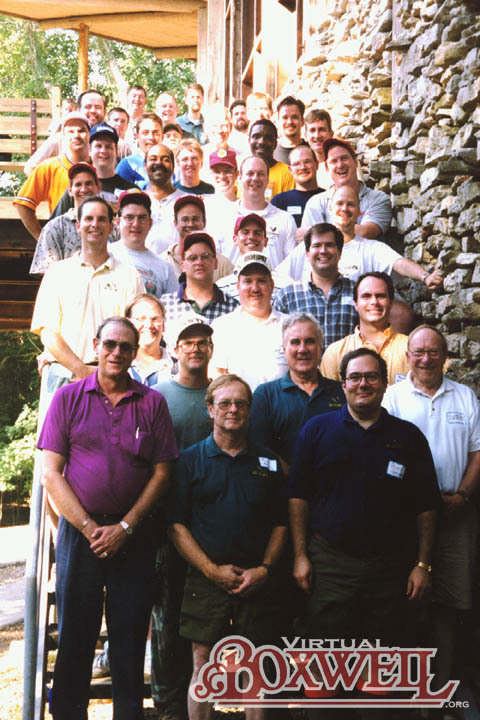 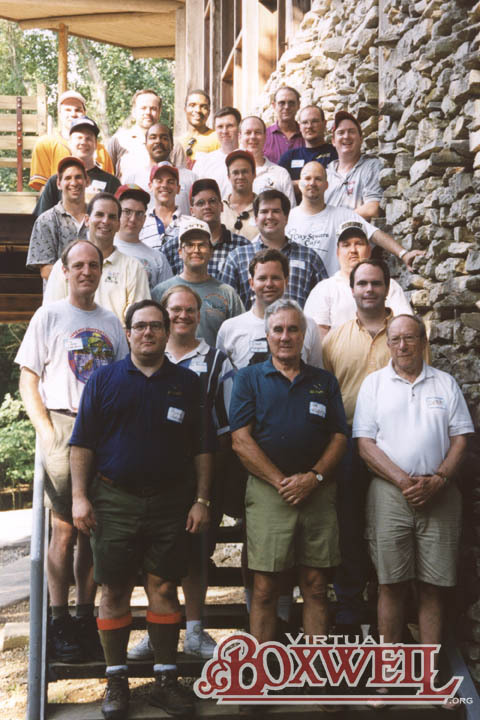 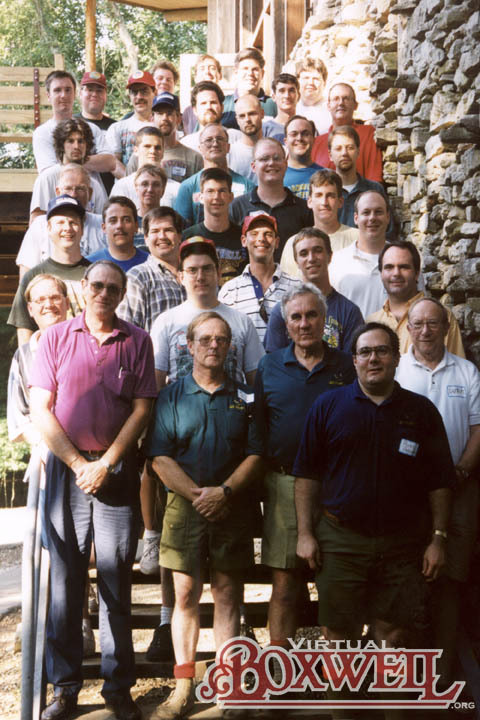 The second Reunion was planned by the same group as the first and held in 1989. 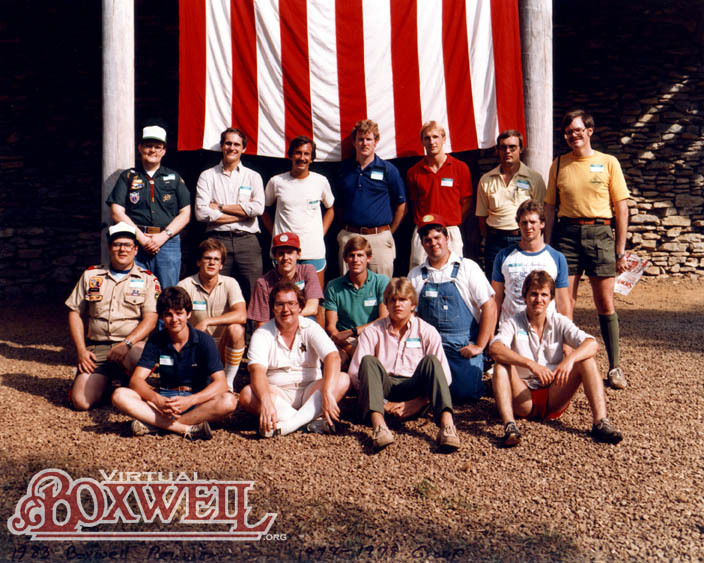 It followed a similar program. 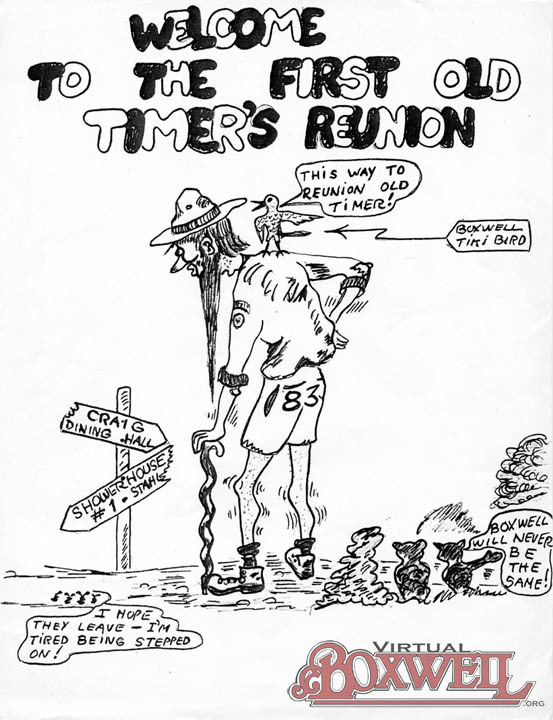 Obviously, to hold a Reunion required a great deal of work. 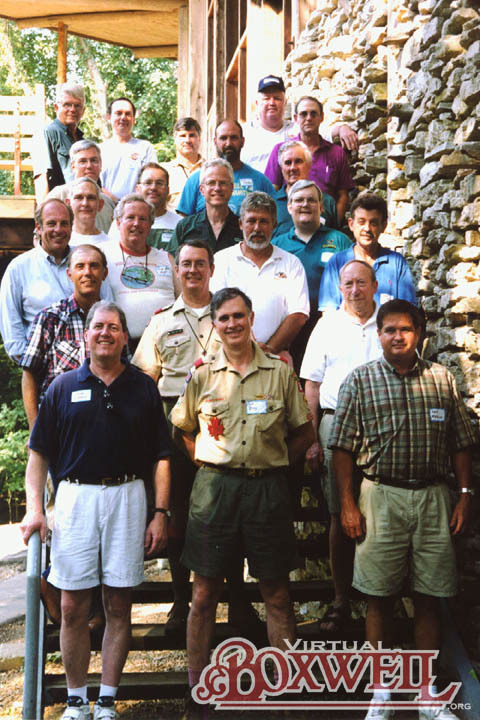 The group behind the First and Second Reunions had built a "Staff Database" from scratch as the Council did not keep comprehensive records of former staff members. 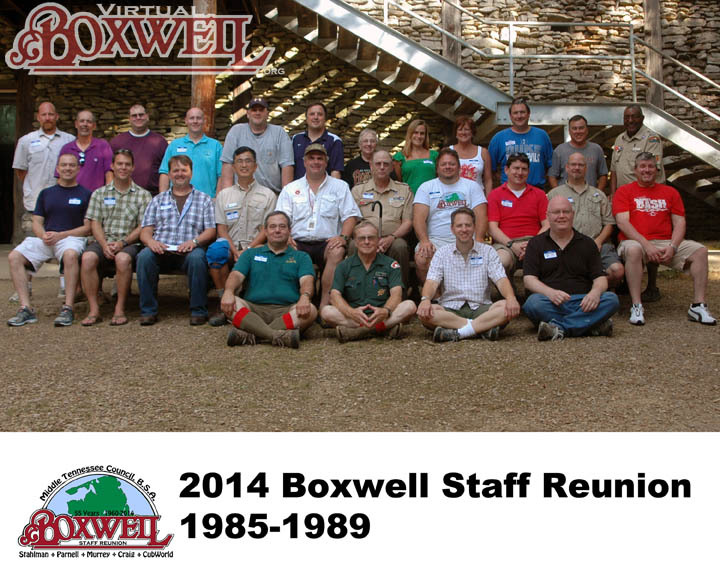 Thus, the group built a complete mailing list for the 1983 Reunion and updated that list for the 1989 Reunion. 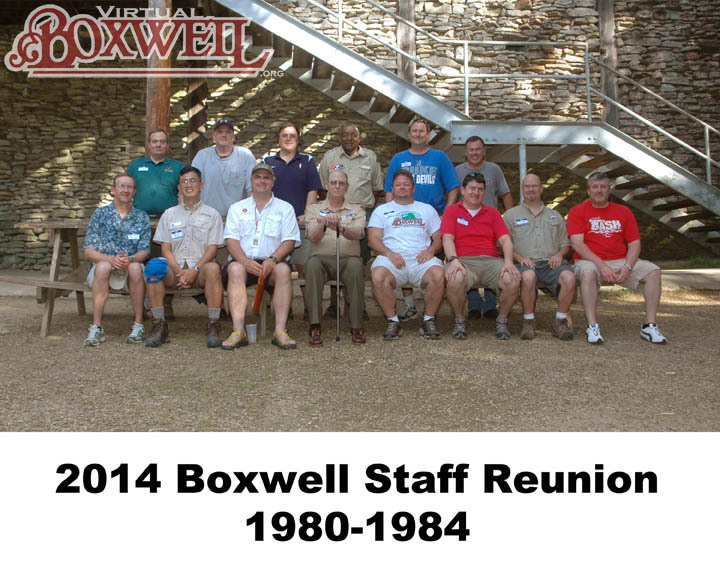 It should not be much of a surprise to say that after the '89 Reunion, this group was anxious for a new group to take up the torch! 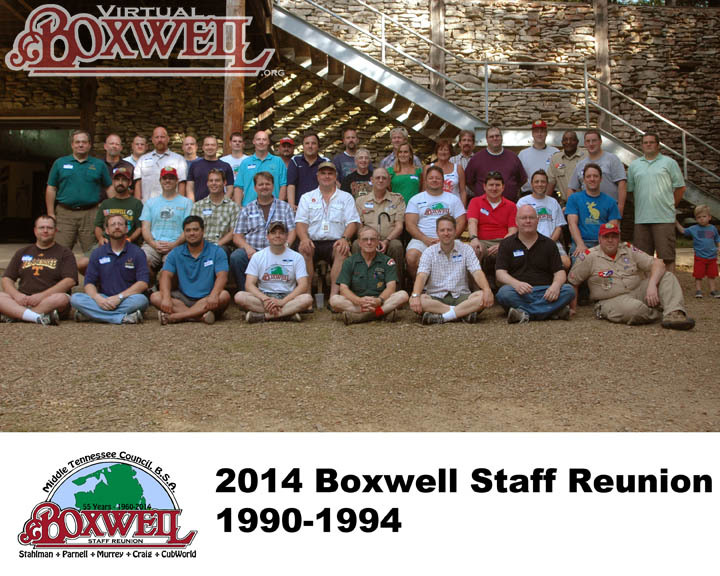 The 1999 Reunion was ultimately planned by this same group, but was less thorough and comprehensive in its search. 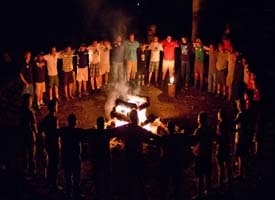 The program followed a similar pattern to the previous Reunions, including a dinner and a campfire. 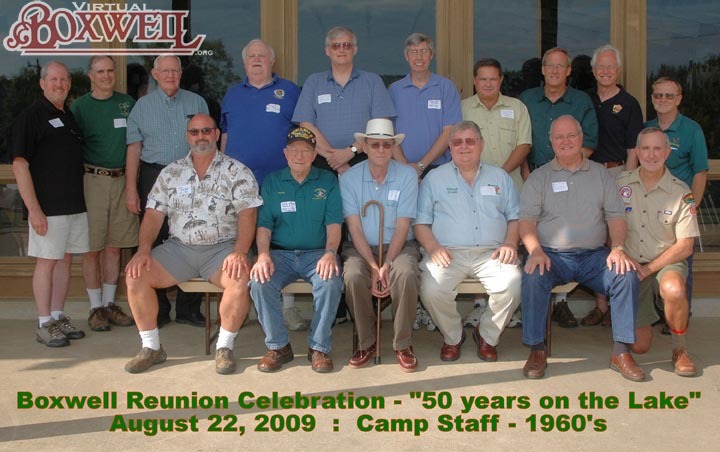 This Reunion was the first to be noted as an "Anniversary" Reunion. 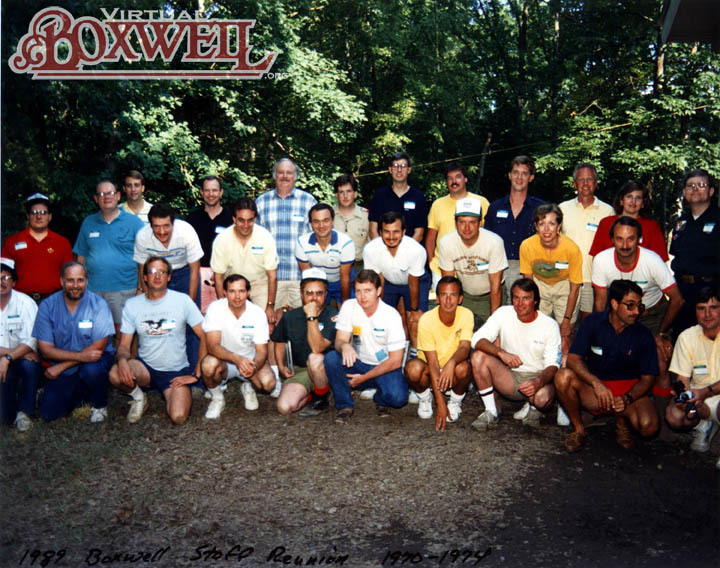 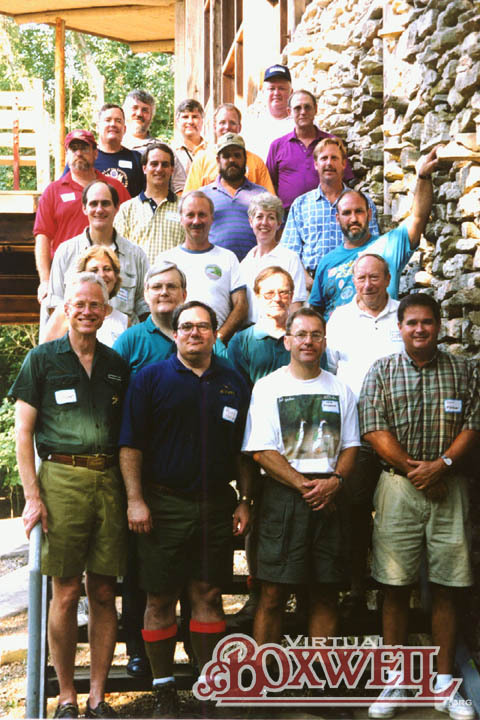 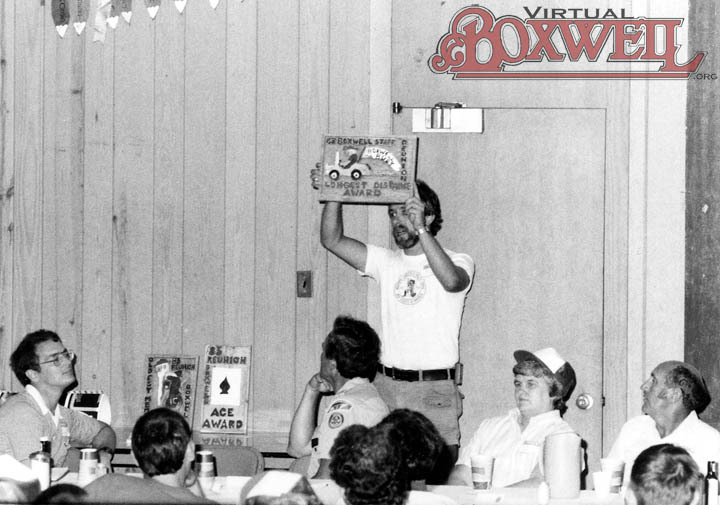 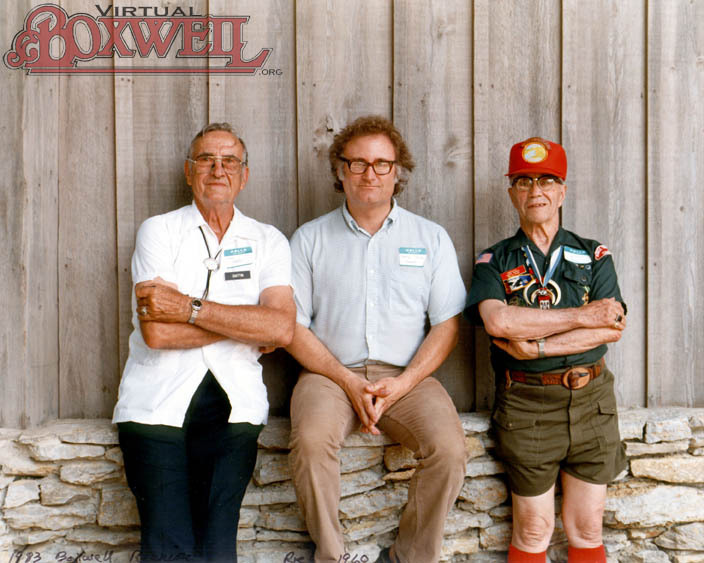 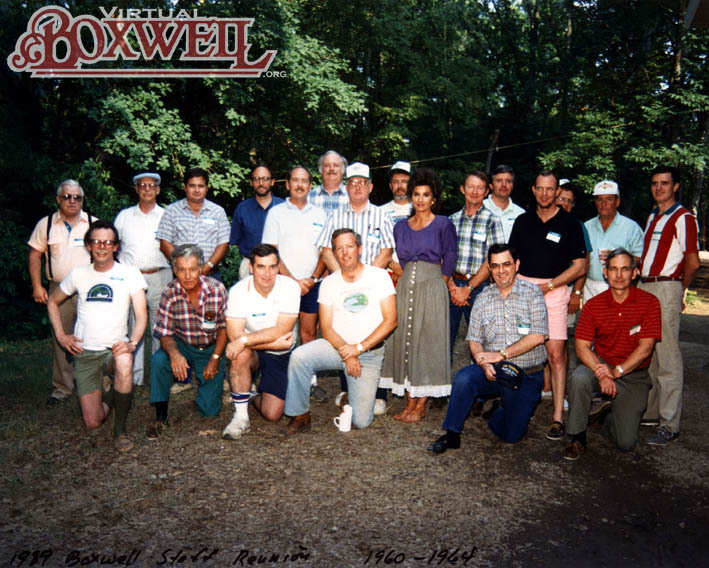 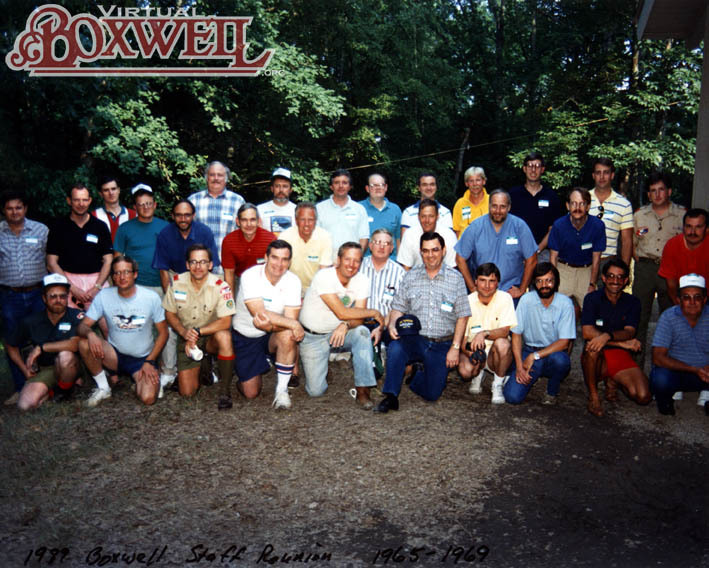 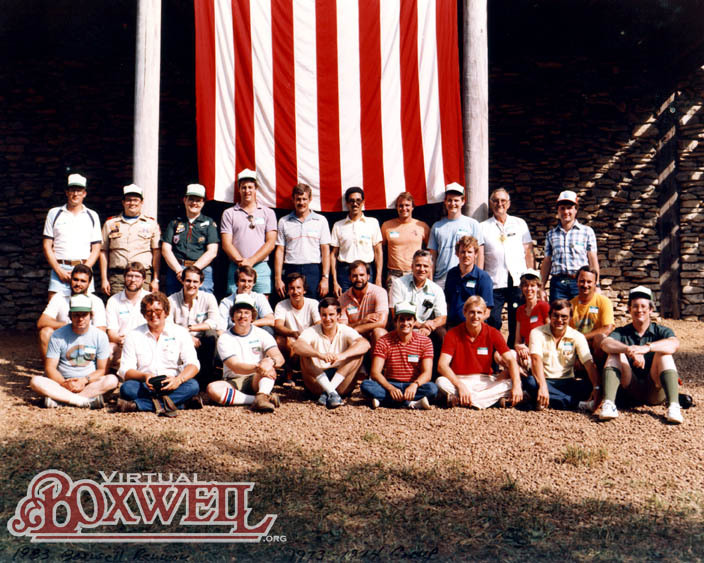 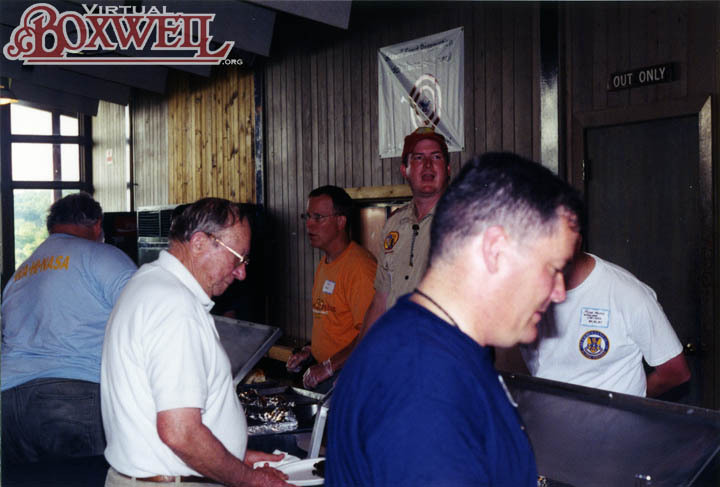 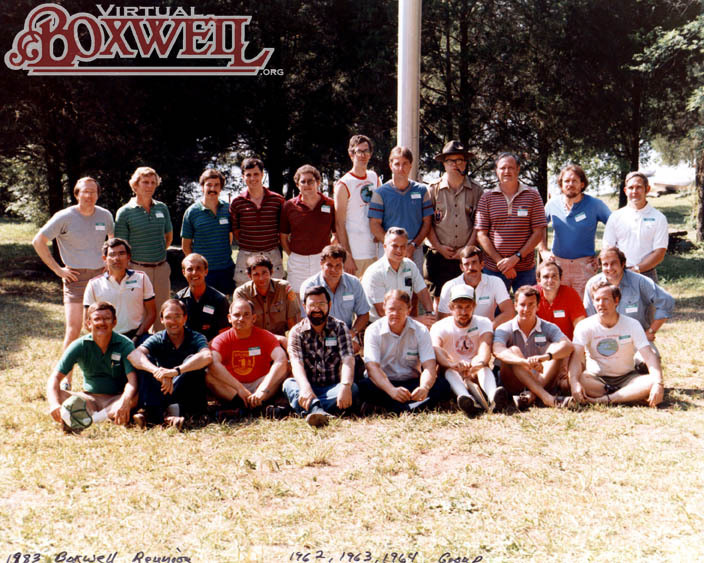 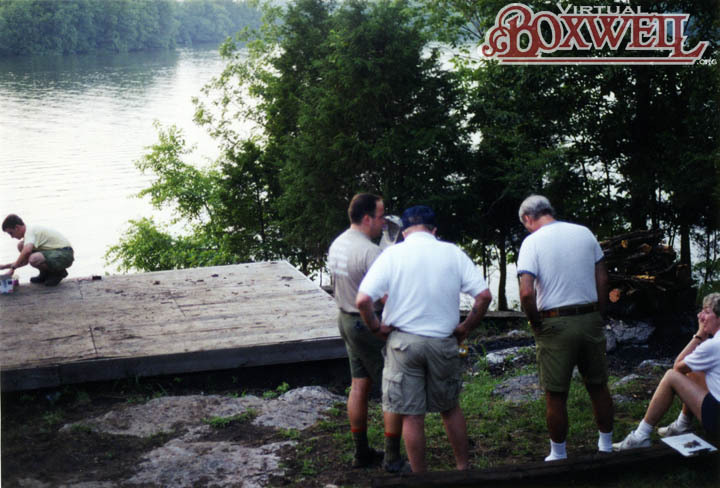 1999 was considered the 40th Anniversary of Boxwell at Old Hickory Lake. 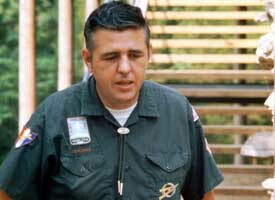 This numbering continues to cause some confusion today. 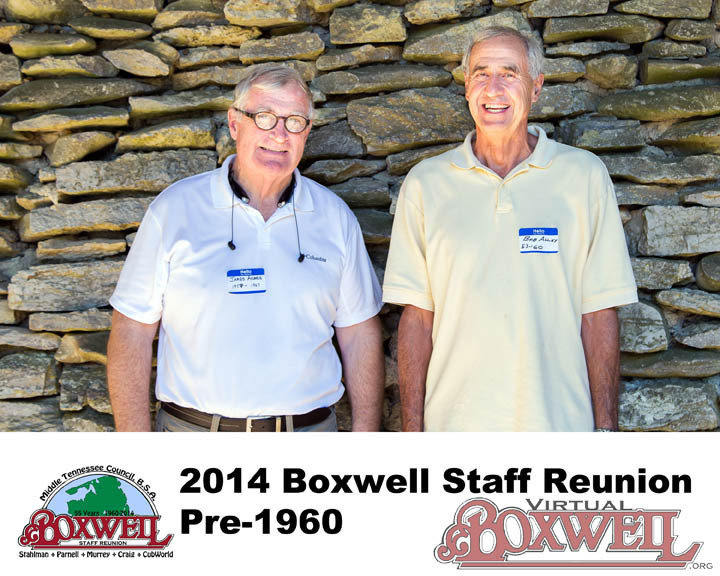 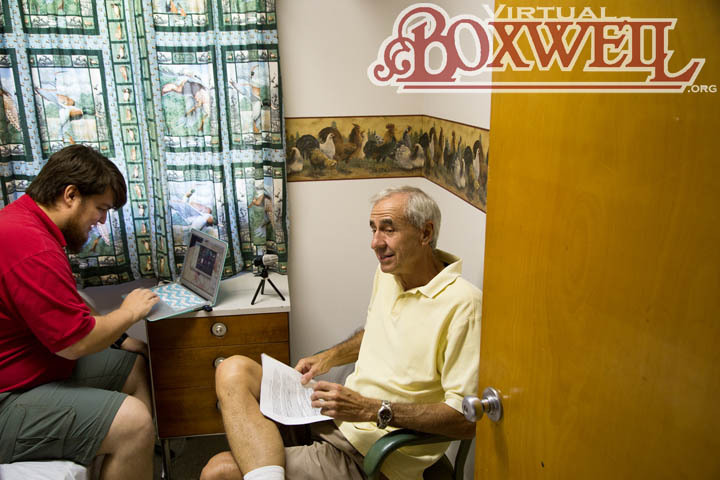 As Boxwell opened in 1960, it stands to reason that 2000 would be the 40th Anniversary. 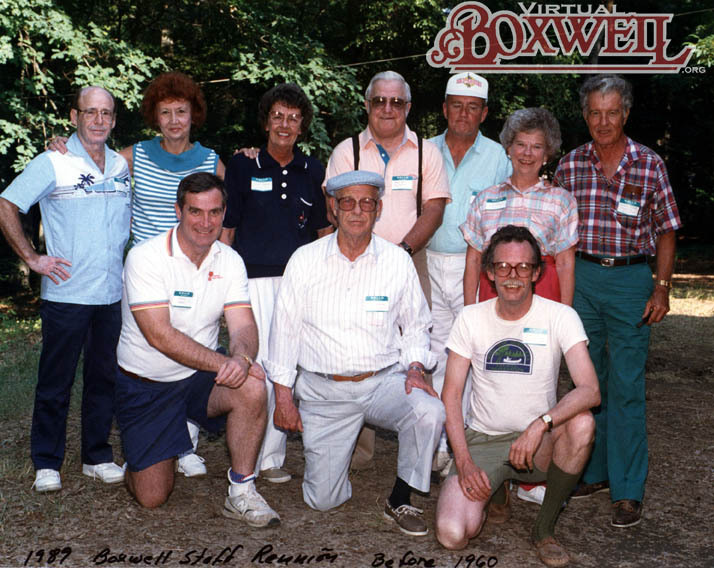 However, unlike a wedding anniversary or a birthday, Boxwell completes a summer THAT year. 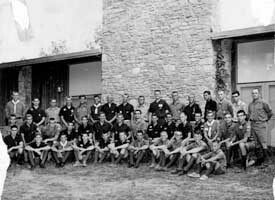 In other words, 1960 was Year One. 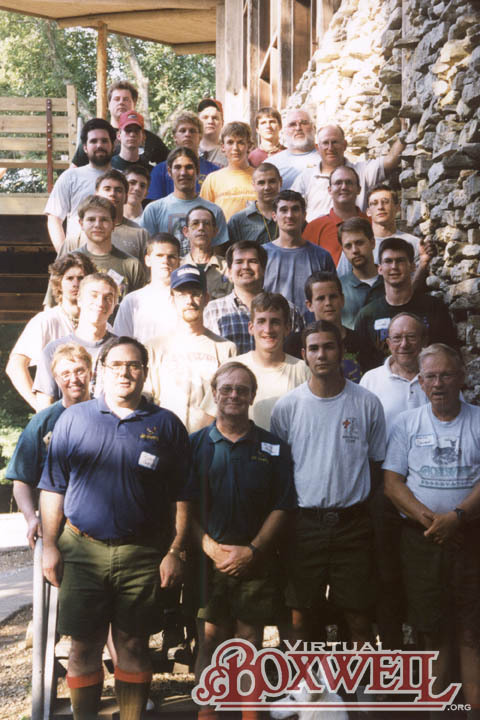 Camp started in June and ended in August and that was it. 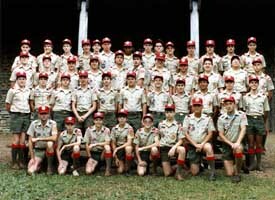 Thus, 1960 to 1969 was 10 years, making 1999 the 40th Anniversary! 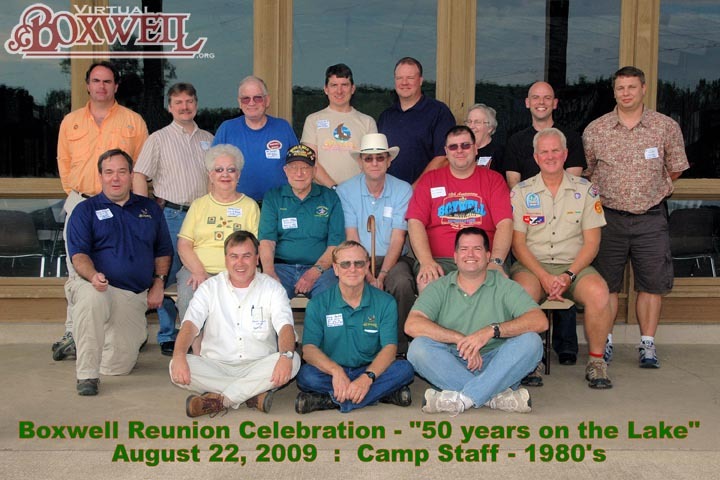 Unlike the previous three Reunions, the 2009 Reunion had some unique differences. 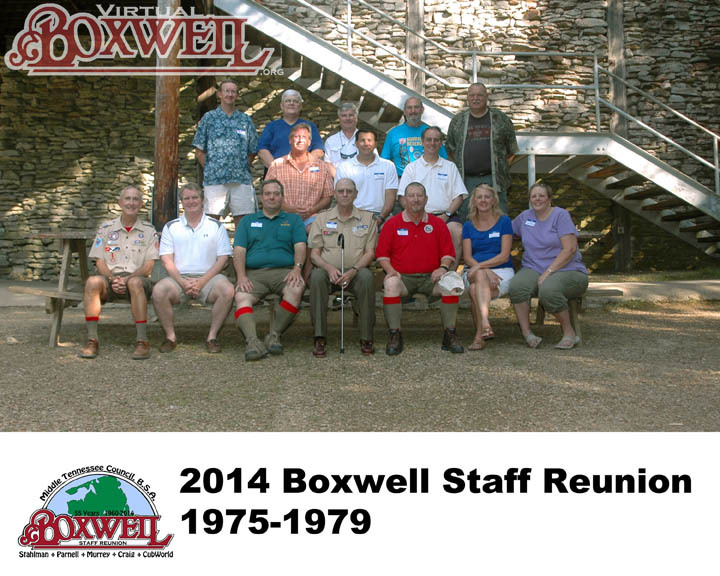 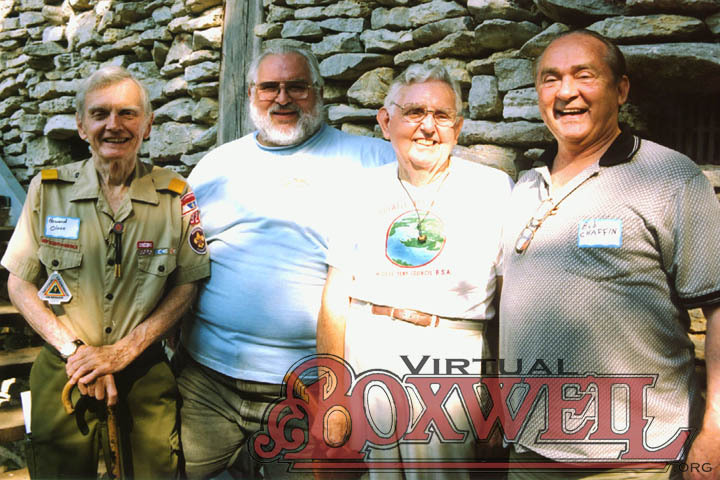 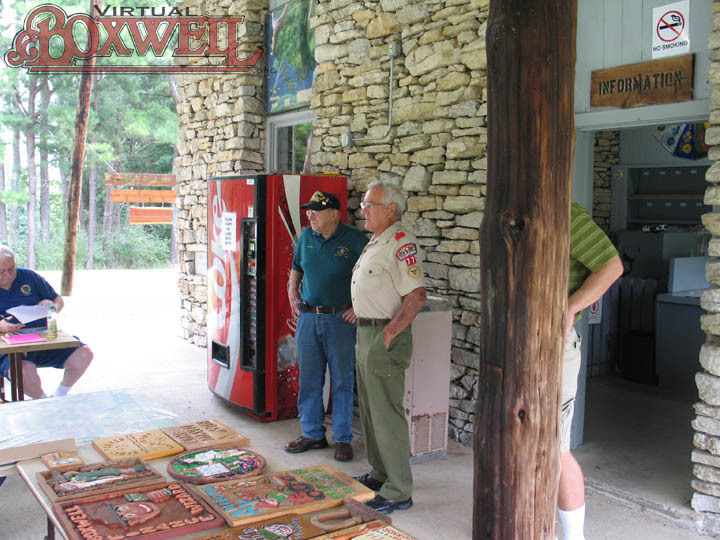 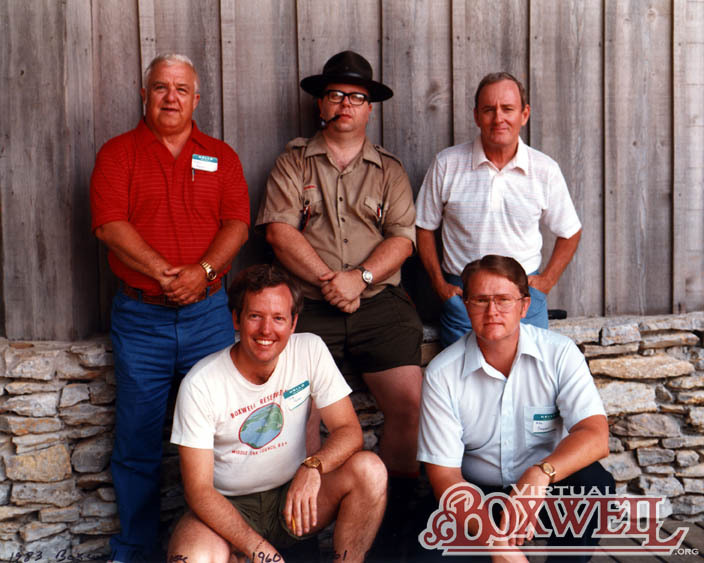 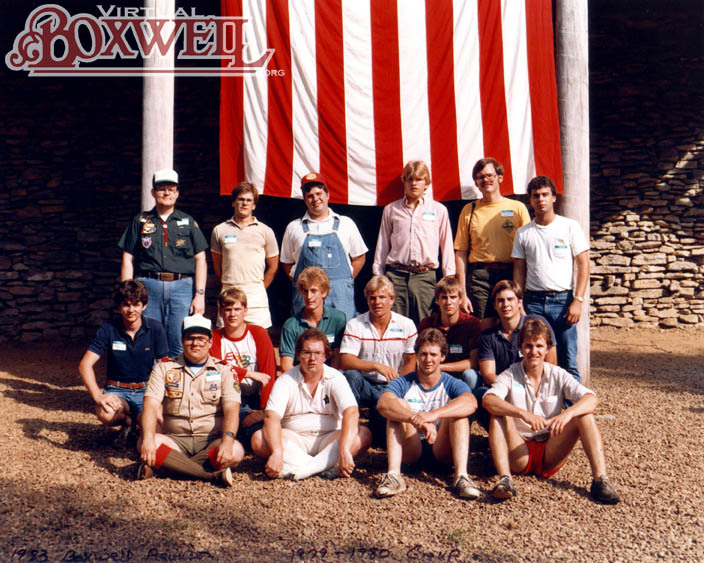 First, the 2009 Reunion was not officially called a "Reunion," but the "50th Anniversary" of Boxwell at Old Hickory Lake. 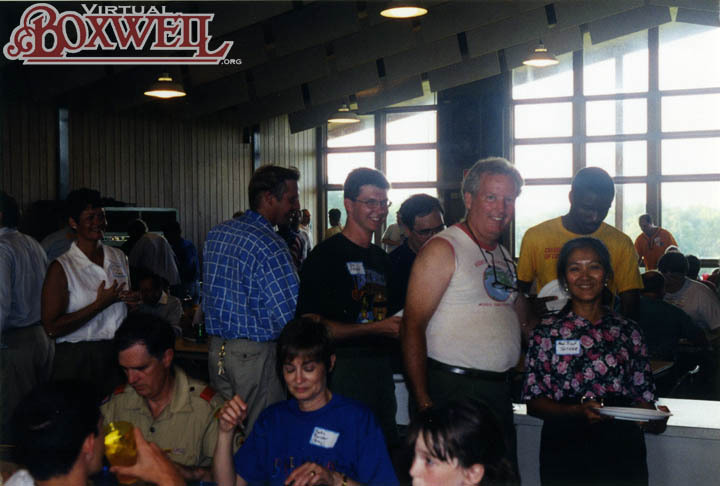 Nevertheless, the event was geared toward former staff members, making it a reunion even though it wasn't officially called such. 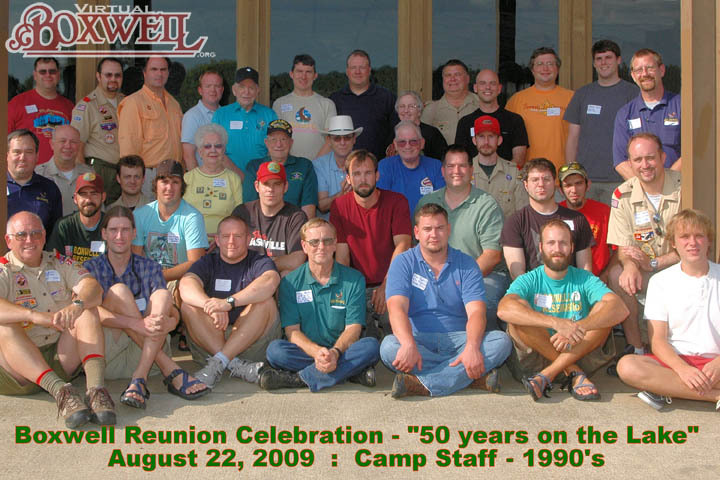 Second, this was the only Reunion to date that was not held during camp. 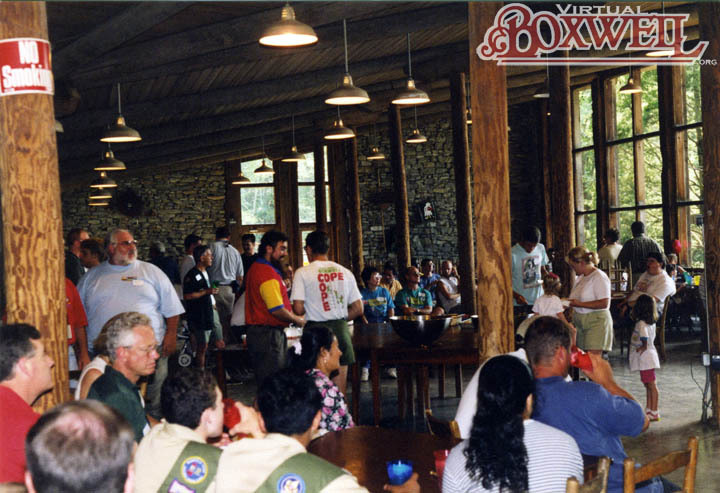 The Anniversary celebration was held in August after summer camp had ended for the summer. 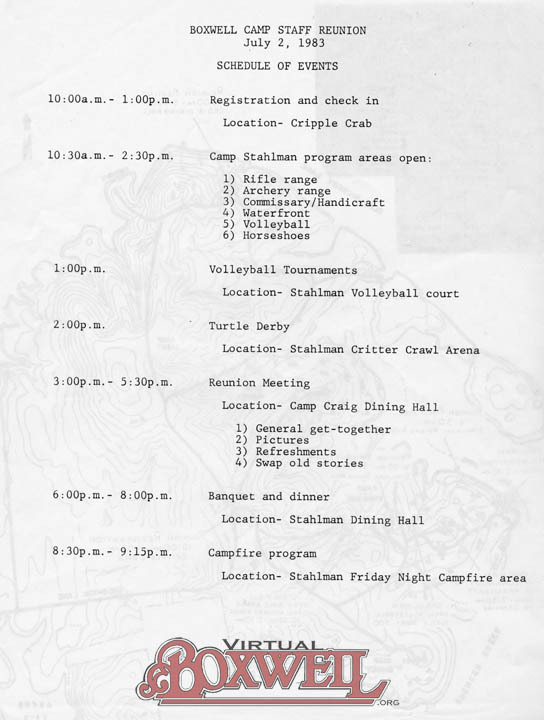 As a result, there was no opportunity to visit working program areas, no dinner, and no campfire. 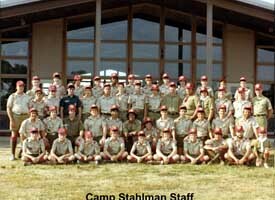 Thus, most of the event revolved around a reception at Camp Craig and then an afternoon program at Camp Stahlman. 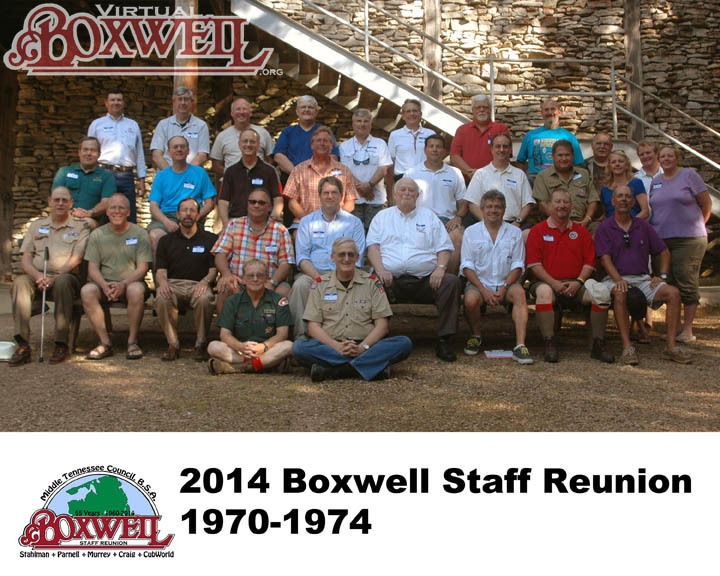 Finally, the fourth Reunion was the only event to date that was planned almost exclusively by the Council and not former staff members. 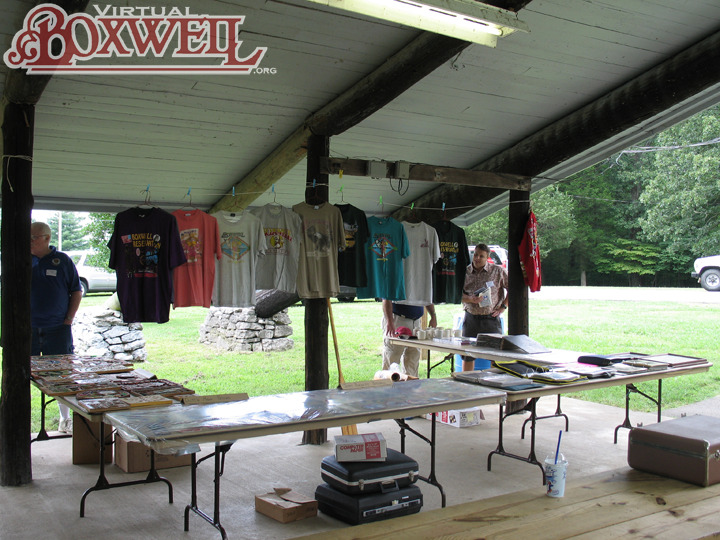 Former staff were involved, certainly, but they were not the driving force behind the event. 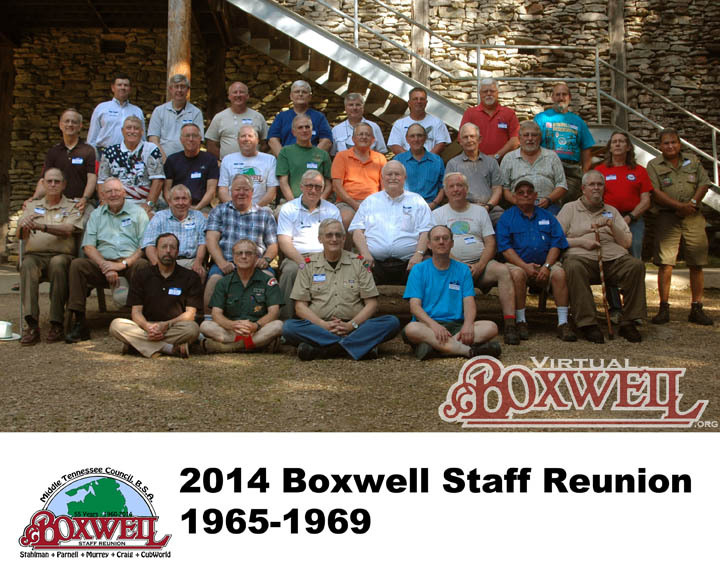 The fifth Reunion was held in 2014 and was a nice mixture of both Council and volunteer activity. 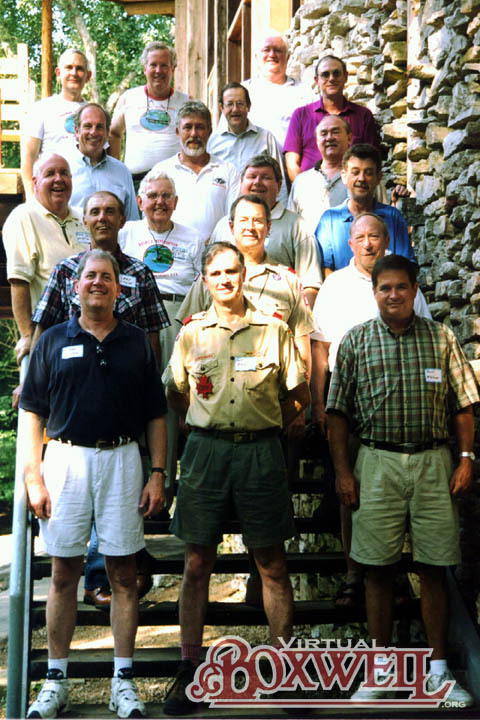 The Council formed a Staff Alumni Committee in 2012 and by the Summer of 2013, this Committee evolved into a Staff Reunion Committee. 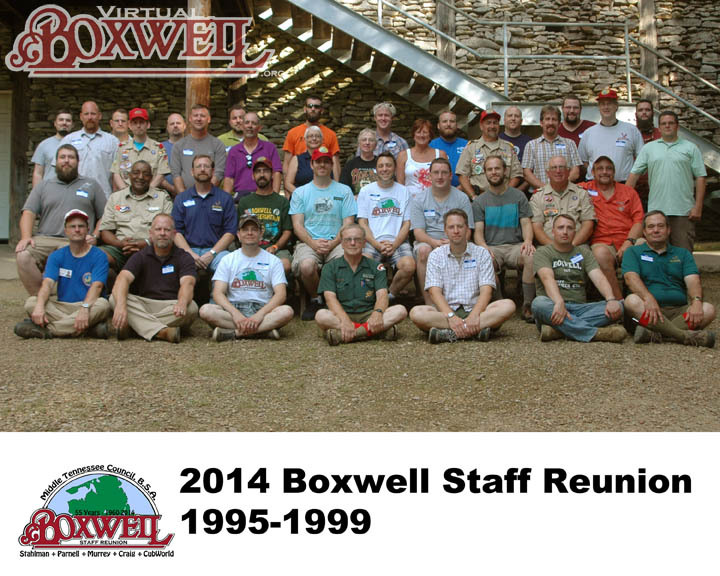 The 2014 Staff Reunion followed a similar pattern to the first Reunions in that it tried to replicate a day at camp. 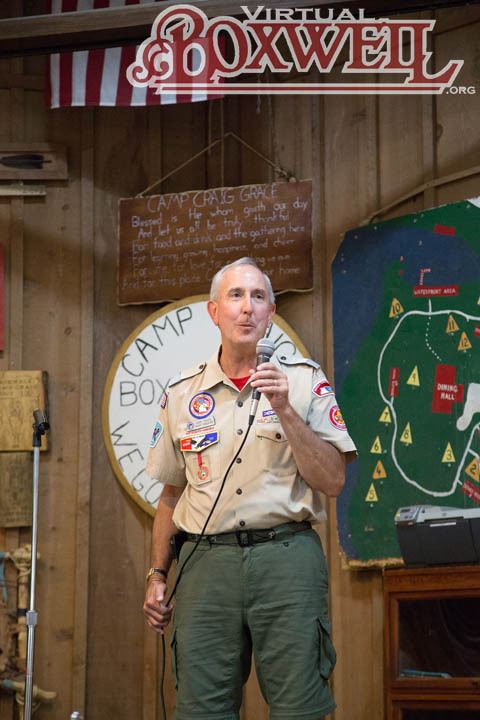 It was held during summer camp and involved daytime program area activities, as well as a dinner, a dinner program, and a campfire. 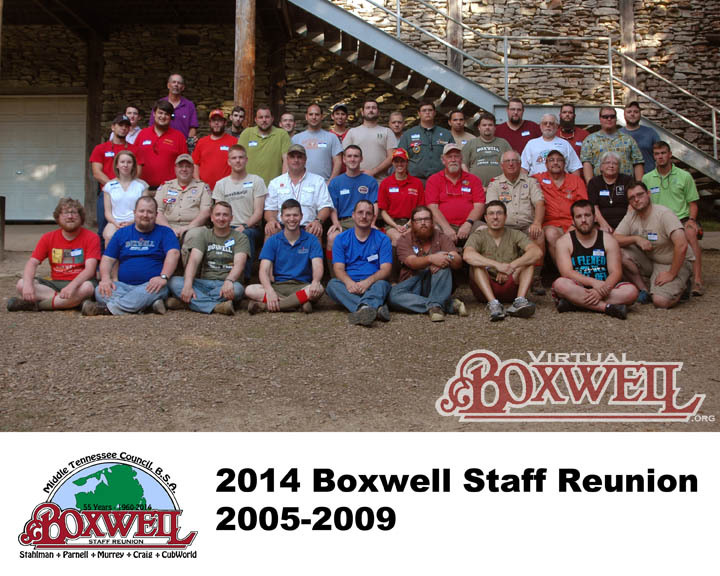 What was unique about the 2014 Reunion was that it would be funded by sponsorships. 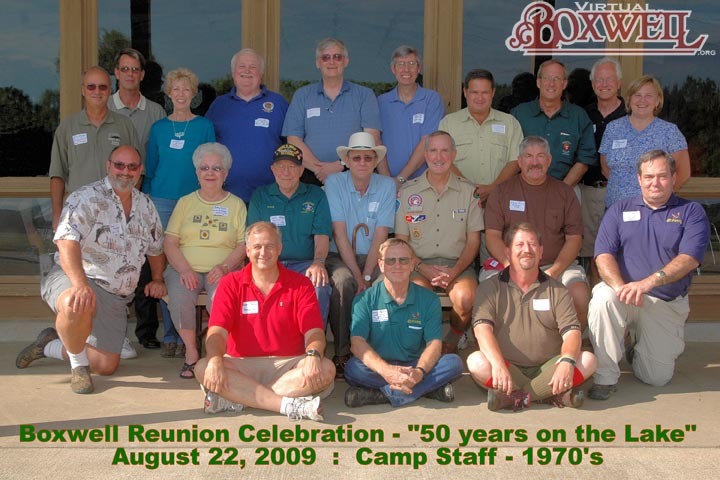 Previous Reunions had involved participants paying a fee, which would cover a patch and dinner. 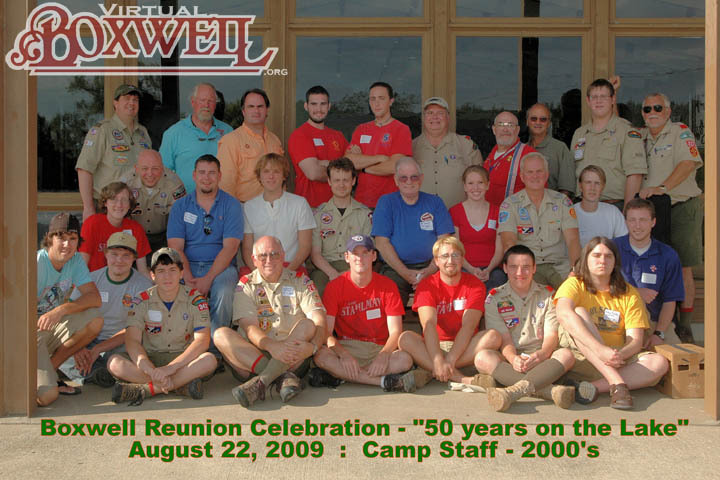 The 2014 Reunion used sponsorships to fund the Reunion. 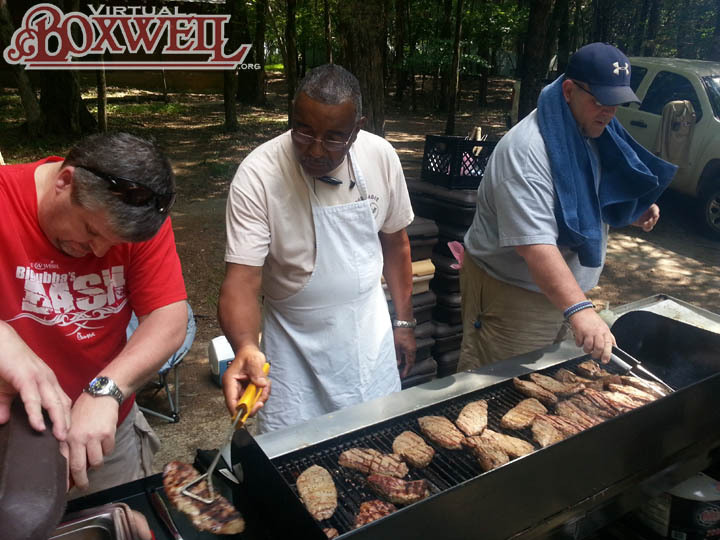 These sponsorships covered a patch, a t-shirt, and a steak dinner! 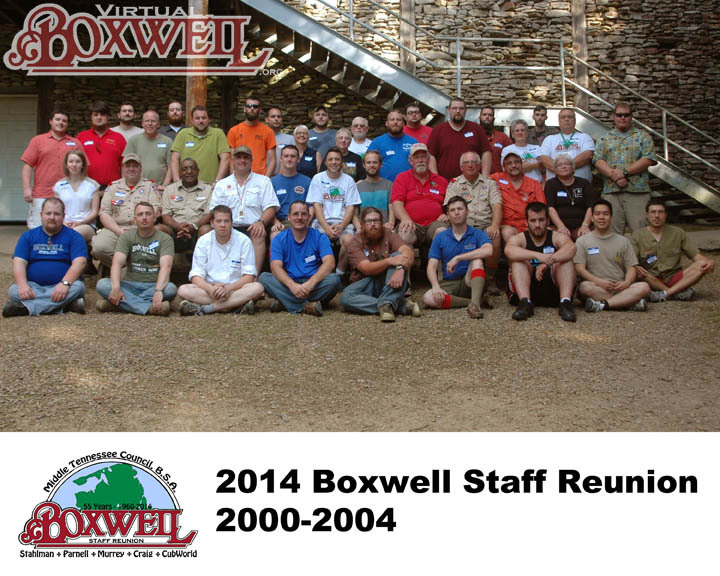 As of this writing, the next Reunion is tentatively planned for 2021. 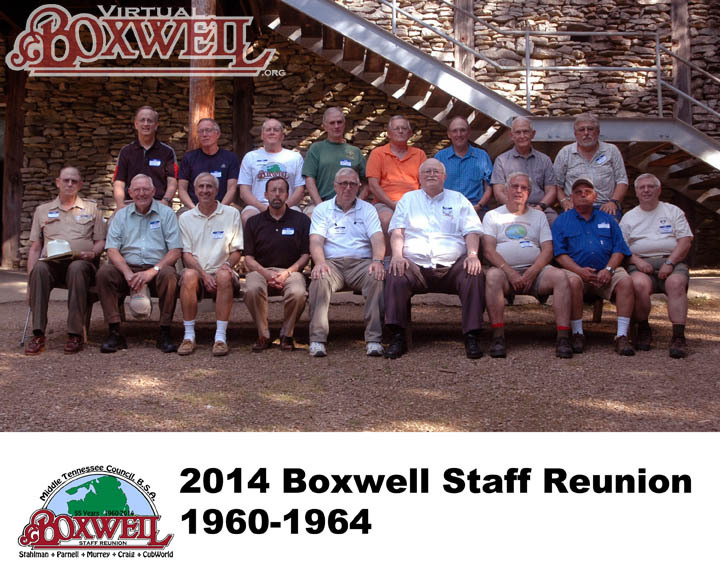 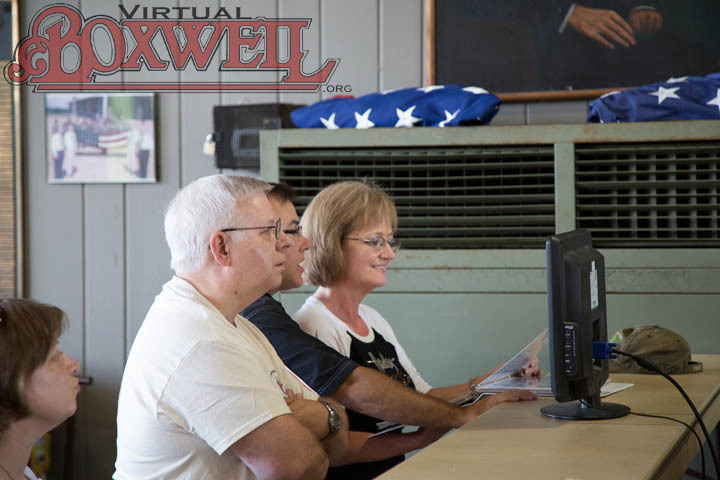 This will the Centennial of Boxwell, which first opened in 1921 at Linton, TN. 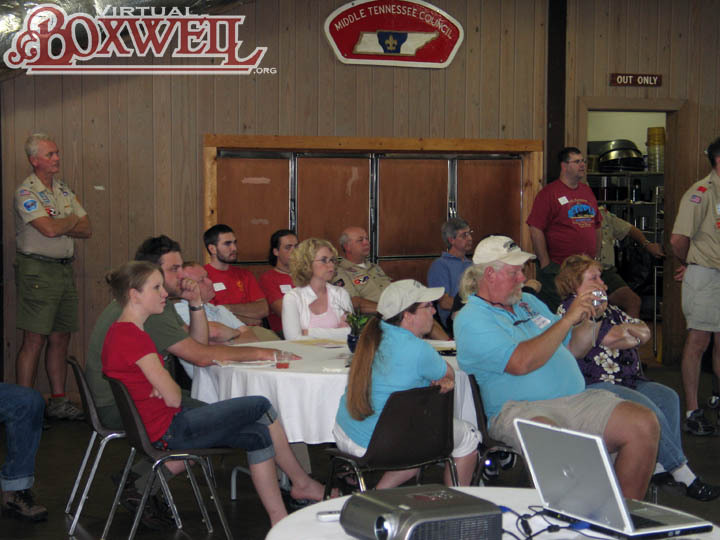 We hope it will be a great event!